This is a repost from my NorCal Beer Blog (here). Tonight’s featured beer is Newcastle Werewolf Blood Red Ale. From the bottle: "What better way to toast the fall than to have a bottle of this formidable, dual character brew. At first, smooth with mellow overtones of sweet berry fruit, a bite of bitterness suddenly cuts through, long, deep and lingering. Brewed with rye malt, it is naturally ‘blood red’ in color. Unlike the mythical wolf-like creature said to roam the bleak moorland surrounding Newcastle, this is real, so consider yourself warned!" And from their Facebook page: "Named for the mythical wolf-like creature said to roam the English countryside, Werewolf offers hopheads a beer that shares some characteristics of Newcastle Brown, but remains distinctive enough to stand up on its own." Appearance: Pours a deep, ruby red with a smallish head and a decent amount of lacing. Aroma: Malty aroma with caramel, toffee and bready overtones. There’s also a hint of berries and dark fruit. Taste: Rye malt and berries are the main attraction, somewhat sweet with a slight bitterness at the finish. Overall: A pretty good brew and at 5.5% ABV easy to session. I don’t know that I’d run out and grab this one, but with Halloween approaching it is nice to have it available alongside some of the other spooky brews. Pictured below are Sculpey one of a kind figures made to represent the animated characters from JackOLantern.ORG which is music from Rain Station's DARK RIDE and Flash Animation by J.E.Moores. Jay's favorite animations are Candy and Monster Hunter. Which are your favorites? If you haven't already seen the videos, you really ought to. They're a hoot. 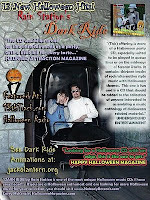 JackOLantern.ORG Animation from J.E.Moores on Vimeo. 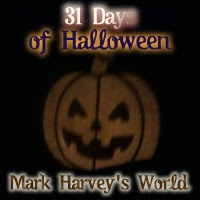 And if you haven't already heard the CD, you really ought it...great SEASONAL fare!